Now get your minds out of the gutter. Yes, this post may be about my First Time but, it’s My First Time…With a Guy Named Popeye. As in the Popeye who makes and serves Lousinana Chicken. Geez…you didn’t really think you would be hearing about a different First Time, did you? Today is Popeye’s Birthday. No, I will not be getting to enjoy Popeye today but, will rather divulge the juicy details of my First Time with Popeye. After enjoying Popeye for the first time, about a month ago, I am sad to say that I may never visit him again. Not because I don’t want to but simply because he is just out of my range. We do not have a Popeye’s in Naples and most of the ones that are somewhat close by, are in gross parts of town. Yes, I have passed nice ones during my USF time along with plenty on our way to and from B-Ville but, I had never before eaten in one. Last month, after the State Fair, we stopped off in Ft. Myers. Well, come to find out, a new Popeye’s had opened not too long back and guess what, it was nice. So, I decided that this would probably be my one and only chance with Popeye. I readied myself and went right in. Since I knew this might be my only time with Popeye, I got a variety of items. I ordered a 3 Piece Chicken Tenders, a side of Rice & Beans, a side of Cajun Style Fries and Biscuits. Everything arrived quickly and smelt really good. I also requested honey mustard and barbeque sauce but, only got one of each. Kinda a bummer but, unless you really specify with sauces, the standard seems to be one. 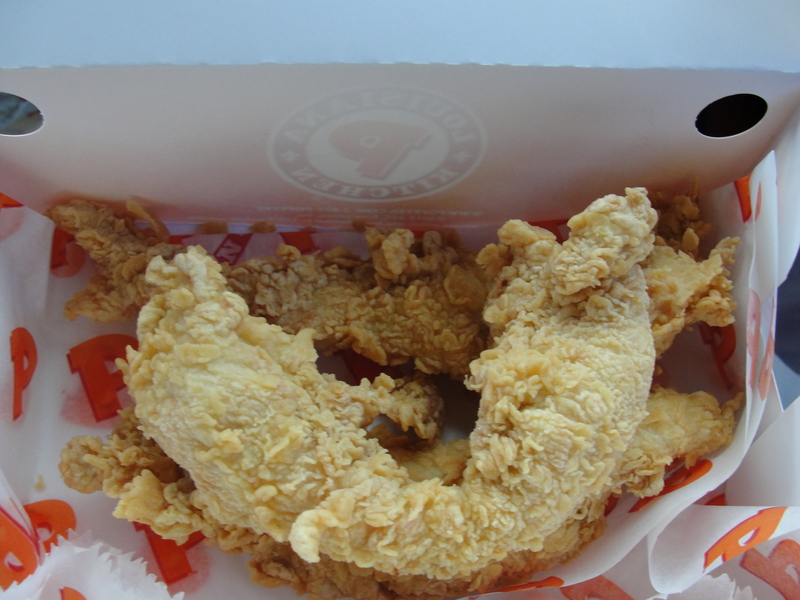 Let’s start with the star of Popeyes – the chicken. You can either order regular or spicy…I opted for regular since this was my first time. 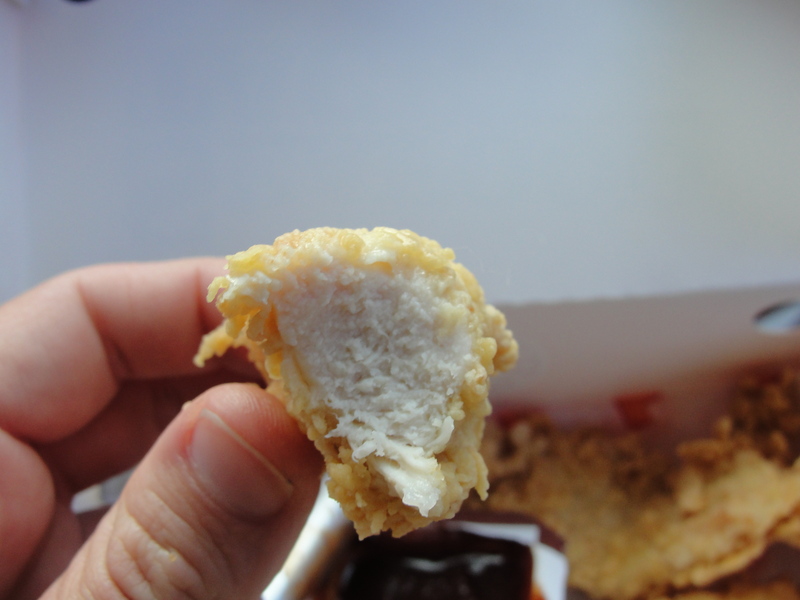 The tenders were normal in size and were not in the least bit greasy. I took a few bites of the chicken without sauce and was shocked at how good they were. Each bite contained a crispy exterior and a juicy interior. None of the pieces were at all greasy even when I began to eat. I was also shocked with how good these tasted. These tenders were not sodium laden at all and I could actually taste the chicken. The breading provided a touch of spice but nothing to the fact of being overpowering. I would easily say that they were amongst the best chicken tenders I have ever had – from fast food and full service restaurants. I had some of the chicken tenders with the sauces as well but, they really didn’t need any sauce. I found the honey mustard to have a funky aftertaste and a strange consistency. The barbeque was much better. Semi-sweet and semi-smoky provided a fully-tasty end result. The tenders and their fabulous taste was easily the winners. As for the sides, I did not care for the rice and beans. 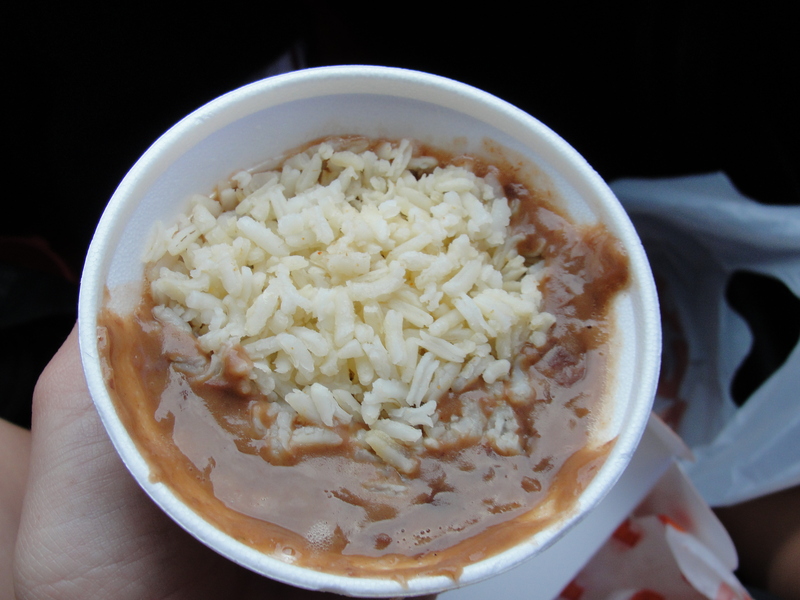 I found the spice of the rice & beans to overpower both the flavor of the rice and the beans. I felt like I could only taste spice which I really didn’t like. The fries were okay but, would have been better fresh out of the fryer. They weren’t bad but, the flavors were muted due to their room temperature-ness. The biscuits smelt amazing and the taste of clogged arties was in each and every bite. 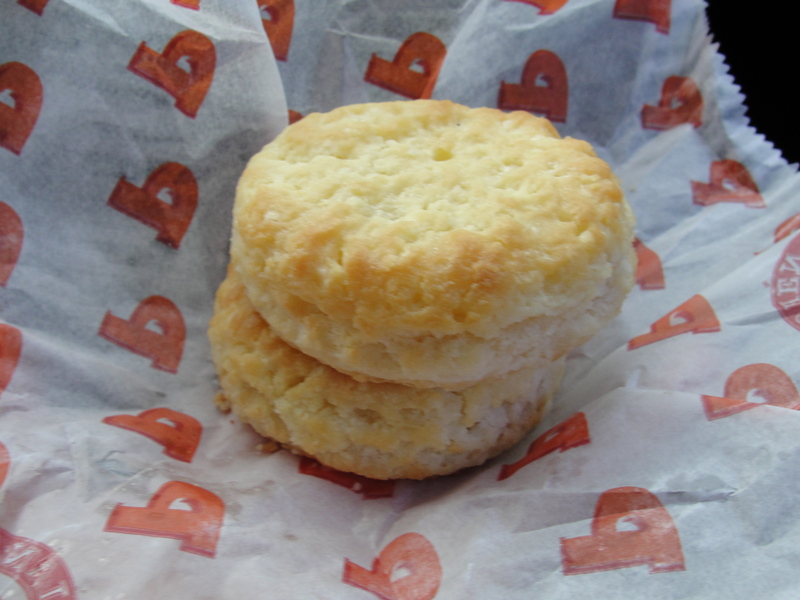 The biscuits were beyond soft & very, very buttery. The taste was so intense that I could not eat more than one of these biscuits. I finished all of my food in no time at all and was nice enough to share a few bites with Mommy and Taylor. Hands down, Popeye knows chicken. If you have never tried his chicken, I really encourage you to do so. Juicy and flavorful chicken, intense biscuits and a variety of sides, makes Popeye’s not your typical fast food joint. If only there was a nice Popeye’s closer to me, I may get to go for the ride again. Alas, there is not so I will work to keep the memory alive. All I know is I will never forget my First Time…With a Guy Named Popeye.